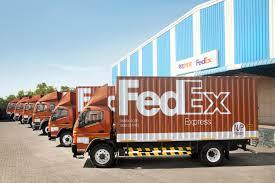 FedEx Express, a subsidiary of FedEx Corp and the world’s largest express transportation company, has announced the finalists of its Small Business Grant Contest in India. Competing for a grand prize of Rs 15,00,000, the finalists successfully emphasized their global ambitions while articulating their future growth plans, and now enter the final stage of the contest. To select the finalists, FedEx assessed each entrant’s inspiration to grow their business internationally, how they would utilize the grant, and financial performance of the business. Extra credit was also given to entries exhibiting unique or innovative products or service offerings, or a business which positively impacts the community. In the next stage of the contest, selected finalists will further detail their international growth plans, and present these to an independent panel of judges. The winner of the contest will be announced on July 13, 2017. Originally launched in the U.S., the FedEx Small Business Grant Contest has expanded to India, Hong Kong, China, Singapore, Brazil, France, Germany, Italy, and the UK.